Greg Monroe will sign with the Boston Celtics, league source tells ESPN. Monroe will sign a one-year, $5M deal with Celtics, league sources tell ESPN. Pelicans could only offer $2.2M. Well well well. After waiting for months for the Celtics to use their $8.4M disabled player exception from the Gordon Hayward injury, today they pulled the trigger. Obviously, they were waiting for the buyout market to make a move and that is exactly what they did. 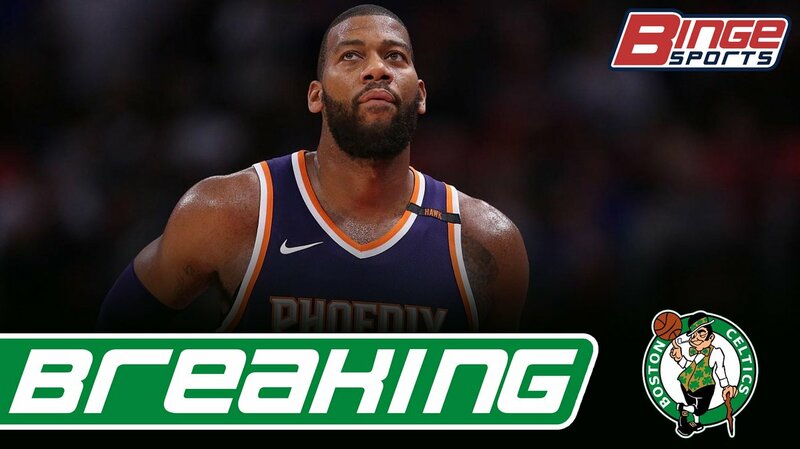 Greg Monroe finally got bought out after being sent to Phoenix earlier this season in the Eric Bledsoe trade. Once he was bought out, the reports were he was going to either Boston or his hometown, New Orleans. After DeMarcus Cousins went down with the torn Achilles, the Pelicans were able to offer him a starting role next to Anthony Davis. However, the opportunity to make more money on a better team obviously was more appealing to Monroe. I am not gonna lie, I am kinda bummed they signed Monroe before the rest of the buyout market shaped out. I was really hoping that the Lakers were going to buyout Brook Lopez and the Celtics would use the DPE on him. Lopez is a great shooting big that can shoot the 3 and stretch the floor, which is always a plus in Brad Stevens system. Looks like Danny didn’t want to wait and take a risk missing out on Monroe, who is still a great player don’t get me wrong. He will give the Celtics an interior scoring presence that they currently don’t have. He is also similar to Al Horford in the way that he does all the little things that makes players around him better. He is a beast on the boards and has become a better passer which I am sure is something that interests Brad. It will be interesting to see if he takes Baynes spot in the starting line up or if they use him off the bench to add some scoring in that second team. I am sure that is where he starts off, but I wouldn’ be surprised if we see him starting at the 5 playing next to Horford sooner rather than later. Bringing in a guy like him is going to be huge for the C’s playoff run. Now if they can bring in a shooter off the bench at the trade deadline, then we will be cookin with fire.